At the age of 30, Fabiola Neira returns to her birthplace where everyone regards with her suspicion, and sees her only as the woman who years earlier moved to the capital for work. Though sheʼs retired from her previous profession, the road home is still arduous and painful for Fabiola. She must find a job and also rebuild her relationships with her father and older sister. After landing a supervisory position at a small metal recycling company, an unlikely friendship with her bossʼ 16-year-old son makes her homecoming easier. Jairo Boisier was born in Talcahuano, Chile, in 1975. He studied sociology and worked as an audience researcher and teacher while making short films. EL NUEVO and VESTDO were selected for more than 30 festivals around the world. 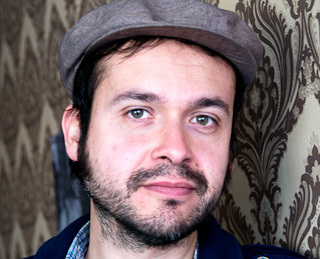 During 2011, he wrote and directed LA JUBILADA, which won the Work in Progress Prize at the Festival International de Belfort. He currently lives in Paris, developing his new long feature project RADIESTESIA, as a resident at the Cinéfondation of Cannes Film Festival.